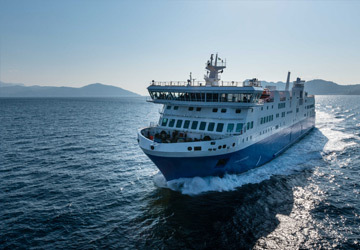 The Split Ancona ferry route connects Croatia with Italy and is currently operated by 2 ferry companies. The SNAV service runs up to 6 times per week with a sailing duration of around 9 hours while the Jadrolinija service runs up to 4 times per week with a duration from 8 hr. So that’s a combined 10 sailings on offer per week on the Split Ancona route between Croatia and Italy. Compare now and get the best fare at the time that you want to travel. Prices shown represent the average one way price paid by our customers. The most common booking on the Split Ancona route is a car and 2 passengers. 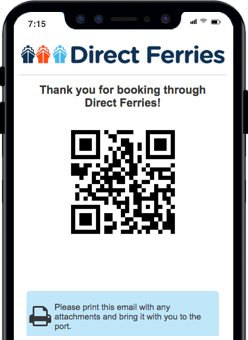 I made the booking very good price through directferries. The ferry has seen better days in some areas but the beds were clean and comfy. Excellent meal in the restaurant with great service. Beer on promenade deck mega-expensive. Overall an ok experience and would travel with them again as an overnight trip. Decent value for money - you get what you pay for. The journey was normal and uneventful - which is good. Parking of the car on the ferry was awkward. This was not a drive-through ferry. It required backing the car and turning it around to exit from the same point in the stern of the ship. The interior decor of the ship was old and worn out. The beds were adequately comfortable. "Great trip, good service "
I took blue line for my travel between Split and Ancona. I chose this line as it was the cheapest. Everything was great and the travel was comfortable. the line for the food in the canteen was a bit long so perhaps it would help if they had more people at the till. I would recommend this line to anyone. The Croatian city of Split is Croatia's second largest city and is located in the Dalmatia region of the country. It lies on the eastern shore of the Adriatic Sea and is spread across a central peninsular. The city is an important transport hub, with many connections to the islands in the Adriatic Sea and to the Apennine Peninsular, and is also a popular tourist destination. The city can trace its history back to the 4th century BC, when it was a Greek colony of Aspalathos. Modern day Split is a lively city with many sights to keep tourists busy including the UNESCO World Heritage Site that is the Diocletian's Palace is one of the world's most impressive Roman monuments. Located within the city's old walls there are many bars, restaurants, cafes and shops that will cater for everything tourists would need. The mountains behind the city provide a lovely backdrop to Split and provide a stark contrast to the blue waters of the Adriatic. 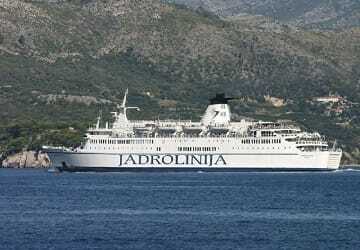 Ferries operating from the city's port depart to Ancona, Pescara, Rijeka , Korcula, Dubrovnik and Mljet.